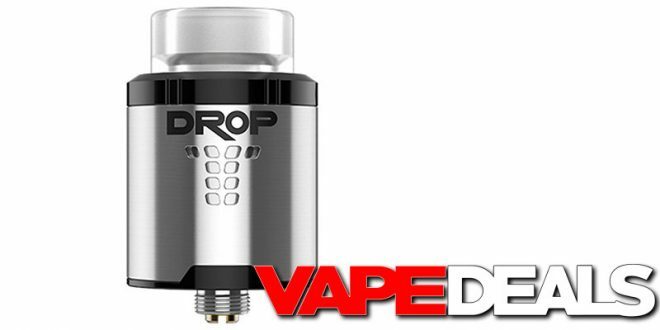 If you still don’t own a Digiflavor Drop 24mm RDA, you might want to check out the newest Deal of the Week over at MFS. For the next few days, you can pick one up for only $17! That’s not quite as low as the last deal we featured ($16)…but it’s still a great price. There are 2 different colorways to choose from: stainless steel and black. Just keep in mind that they usually switch out these deals every Thursday.